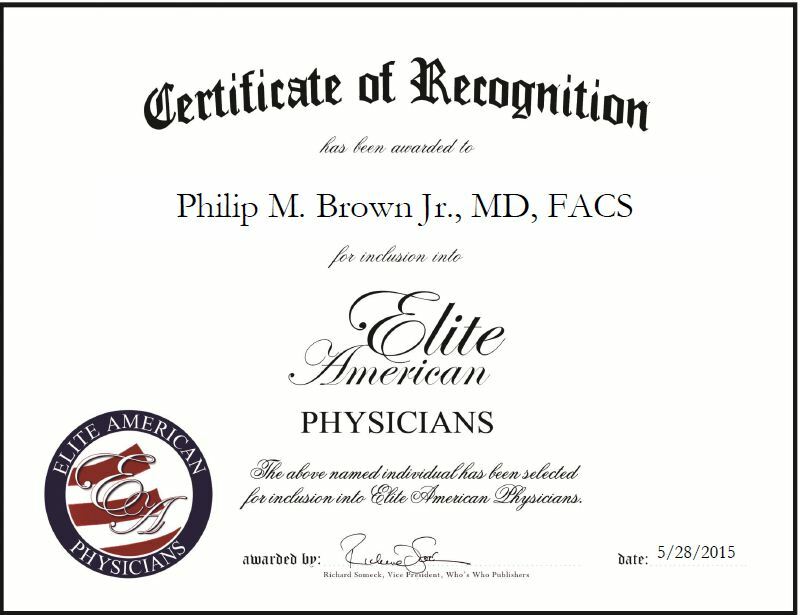 Wilmington, N.C., May 28, 2015, Philip M. Brown Jr., MD, FACS, Board President, Vascular Surgeon of Wilmington Health, has been recognized by Elite American Physicians for dedication, achievement and leadership in minimally invasive vascular surgery. Dr. Brown always wanted to perform a service for people, which is why he was inspired to enter the medical field. His current role allows him to help his patients for life. Dr. Brown has 19 years of professional experience and is particularly skilled in performing minimally invasive vascular surgery and paying attention to details. 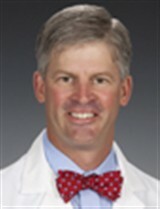 He spends his days seeing patients, performing surgical procedures, establishing company visions, developing and implementing strategic initiatives, treating patients with peripheral arterial disease, carotid artery disease and abdominal aortic aneurysms, conducting laser treatments for varicose veins, and performing limb salvage surgery. Honored for his dedication to patient care and to delivering unmatched health care services, Dr. Brown was named Wilmington Health Physician of the Year. He attributes his success to his hard work, diplomacy and eagerness to evolve. Moving forward, Dr. Brown aspires to bring in junior partners and continue to drive the phenomenon of medical transparency, which is the idea of understandable medical treatment for all patients. This entry was posted in Surgery and tagged abdominal aortic aneurysms, carotid artery disease, laser treatments, limb salvage surgery, minimally invasive vascular surgery, peripheral arterial disease. Bookmark the permalink.